This is a very vigorous grower! 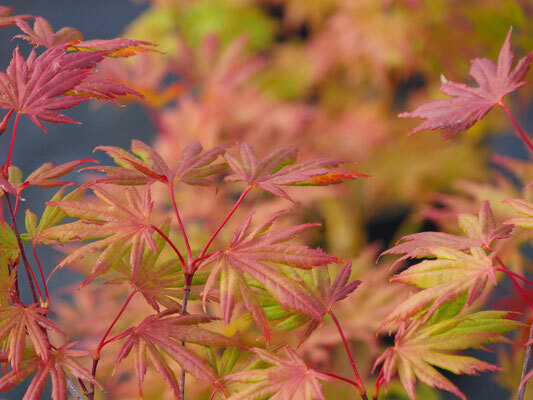 On this cultivar, the spring foliage comes out with a red tinge in the leaf. 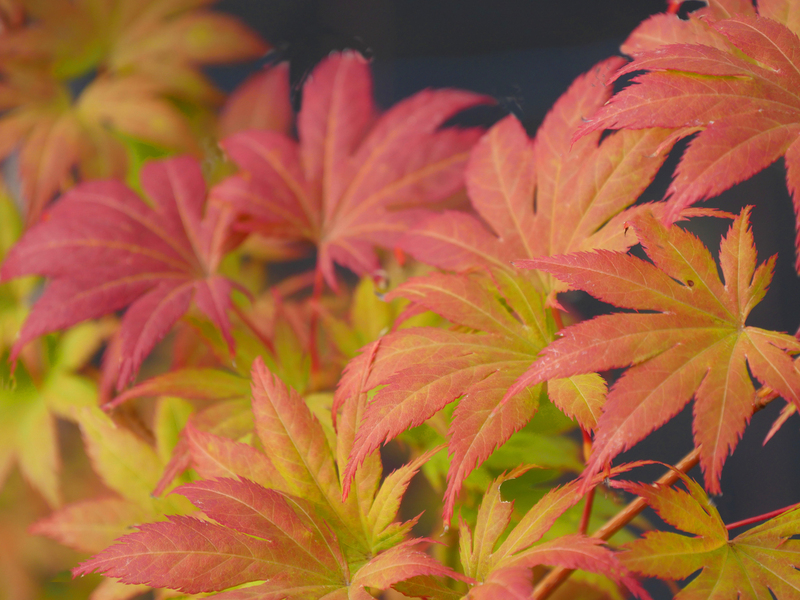 Maturing to deep green in summer then turning to yellow-orange in the fall. The leaves never fully unfurl. They curl under creating a narrow lobed appearance. This selection is more sun and heat tolerant than the average Japanese maple.